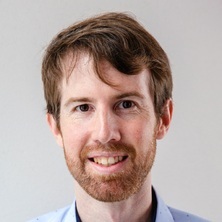 Jake O’Brien is a Research Fellow at the Queensland Alliance for Environmental Health Sciences (QAEHS). He has a keen interest in wastewater-based epidemiology and his PhD focussed on refining the uncertainties and expansion of wastewater-based epidemiology for assessing population exposure to chemicals (conferred in 2017, UQ). As a research focussed academic, he is interested in wastewater-based epidemiology, understanding the fate of chemicals both within the sewer network and in wastewater treatment plants, developing analytical methods for chemicals of emerging concern, and characterising plastics within biological and environmental samples. Jake is also a Chief Investigator on the National Wastewater Drug Monitoring Program funded by the Australian Criminal Intelligence. Commentary on Ort etal. (2014): What next to deliver on the promise of large scale sewage-based drug epidemiology? Methamphetamine pyrolysis byproducts in wastewater – a way of distinguishing administration routes? Wastewater "epidemiology": competitor or complement to survey studies?